At Mepra we give you the opportunity to make your flatware order truly unique. 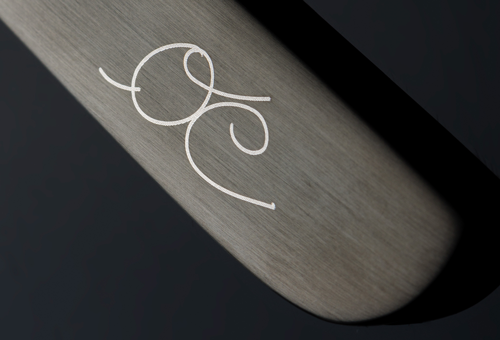 By creating an engraved flatware set with your logo or your own text you will get that little extra uniqueness. 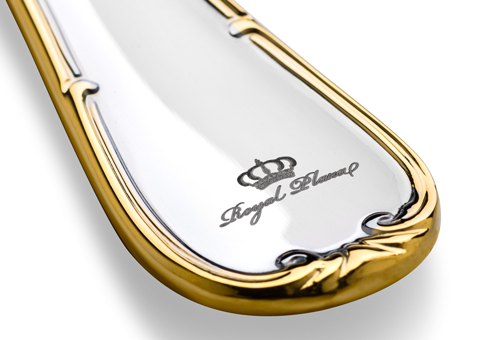 Personalized flatware is also a unique present, ideal as a gift for anniversaries and wedding guests. A promise that begins with the selection of the finest materials and continues with the meticulous implementation of the carvings and exclusive Mepra surface finishing. Also we don't require a minimum order quantity and you can easily order online. Customize with logo. How does it work? After your approval we will start the production. This will be ready within 5 working days after the approval. After the final quality check your products will be packed and shipped. We support world wide shipment. Once shipped you will receive a Track & Trace code to follow your shipment. Within 14 days after you have placed the order you will be able to enjoy your own personalized cutlery set. Customize with text. How does it work?